I want to congratulate you on completing our four part video series. I hope you’ve made the time to apply the information we’ve sent to you over the past several days. If you haven’t found the time to do that yet, I strongly encourage you to do so. The three previous videos we sent to you can represent a major turning point when it comes to successfully marketing your business. We designed those three videos to teach you a quick and easy process that will enable you to generate as many leads as your business can handle… WITHOUT spending a cent on marketing or advertising. In fact, when you apply this information, you will separate your business from your competition… and become the obvious choice for your prospects and customers to do business with. Our goal in working with you is simple… we want your prospects and customers to reach one single conclusion about your business… that they would have to be an absolute fool to do business with anyone else but you… regardless of price. The information we covered in the three previous videos will get you started in that direction. Those 3 simple tactics... creating a compelling message, a strategically designed business card and a properly structured landing page… are all you need to out-market and out-sell your competition. That is… IF you apply the information in the videos… and you use the resources we provided with each video. Now, in this short and final video, we want to show you how to make your phone ring and earn money using this information…. a LOT of money. We’ll show you exactly what you can do to substantially increase your leads, revenue and profits… with little time, effort or energy on your part. If you’ll implement the simple, step-by-step process we’re showing you in this four part series, you should easily produce a minimum of $5,000 to $10,000 in additional cash flow within a very short period of time…. and potentially hundreds of thousands of dollars over the life of your business. This final video will show you exactly how to do that. Look for our bonus offer! At the end of this video, we’re going to make available to you a special small business “grant” that our program has just received approval for. This $5,000 grant is for qualified small business owners only. We’ll explain the qualifications, and if you meet the requirements, we’ll help you secure this lucrative grant for your business… NO STRINGS ATTACHED! 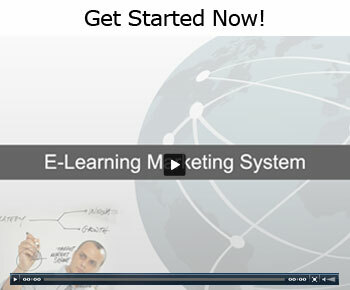 Watch this final video, and we’ll position your business as the dominant force in your market.